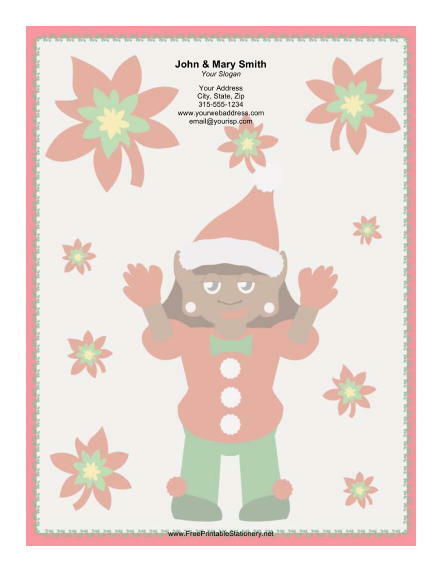 This Christmas stationery design includes a Christmas elf dressed in red and green with a red Santa hat and poinsettias. A red border with contrasting green vines is included on the paper. This attractive letterhead is perfect for saying Merry Christmas to everyone you know.